Insects Archives - Page 2 of 3 - Truth or Fiction? Parasites infesting the breast from new bras-Fiction! Florida mother who saved her son from an alligator-Fiction! Giant Toilet Spider Attacks Foot-Fiction! A video shows a giant spider scurrying in a toilet and seemingly attacking someone's foot. It Is Raining Spiders in Brazil-Fiction! Rumors of spiders falling to the earth from the sky are flying all over the World Wide Web. There are concerns that these arachnids are venous or even worse, black widow spiders. 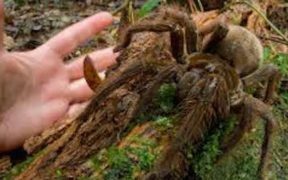 Puppy-sized Goliath Spider Found in South America-Truth! 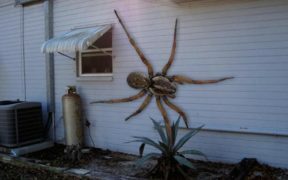 Reports alleged that a "goliath spider" the size of a small dog was found in the rainforests of South America. Cockroaches found in the mouth of a woman who licked an envelope infestedwith roach eggs-Fiction!